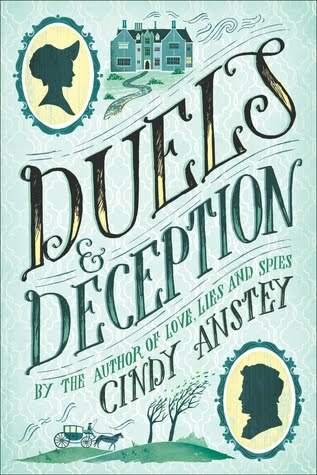 Duels and Deception was SO FREAKING CUTE. I constantly had a smile on my face while I was reading this book. This book had action, mystery, romance, humor, and so much more. The two main characters of this book, Robert and Lydia, were adorable. I loved them as a couple and as individual characters. Robert was a cutie pie who was kind and dedicated. I found myself falling in love with him from the first chapter. Lydia was hilarious with her headstrong personality. I enjoyed watching her stand up for herself and use her quick wit. I was so thankful that the author included both of their POVs because I felt like that gave me to chance to really connect and love both of the characters. As a couple, Robert and Lydia made me swoon and squeal with delight so many times. They had great chemistry and banter. I started shipping them from their first interaction. They were just so cute and adorable together! I could go on forever about how much I adore them as a couple. I WANT MORE BOOKS ABOUT THEM, PLEASE. I WANT TO SEE THEM BE PRECIOUS TOGETHER FOREVER. I thought the plot of this book was extremely entertaining and engaging. I was hoping for a little more action in the middle of the book, but I wasn't bored while reading this book. I thought the book would have been a 5 star for me if it would have had a little more action in it. However, this was still an addictive book even without A TON of action. 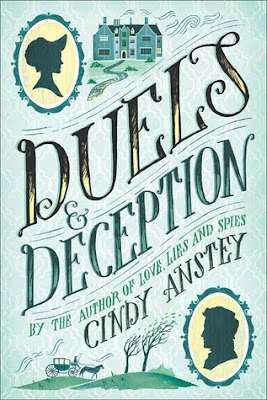 If you are looking for a historical YA with an adorable romance and plenty of humor, then I definitely would recommend picking up this book!